Cassie Sullivan and her companions lived through the Others' four waves of destruction. 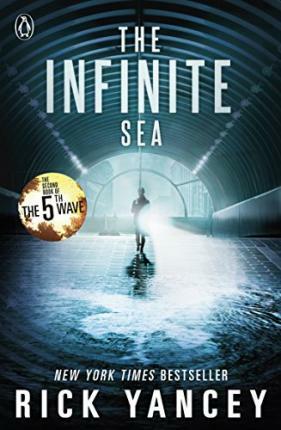 Now, with the human race nearly exterminated and the 5th Wave rolling across the landscape, they face a choice: brace for winter and hope for Evan Walker's return, or set out in search of other survivors before the enemy closes in. Because the next attack is more than possible - it's inevitable. No one can anticipate the depths to which the Others will sink - nor the heights to which humanity will rise . . .
Rick Yancey (www.rickyancey.com) is the author of several adult novels and the memoir Confessions of a Tax Collector. His first young-adult novel, The Extraordinary Adventures of Alfred Kropp, was a finalist for the Carnegie Medal. In 2010, his novel, The Monstrumologist, received Michael L. Printz Honor, and the sequel, The Curse of the Wendigo, was a finalist for the Los Angeles Times Book Prize.